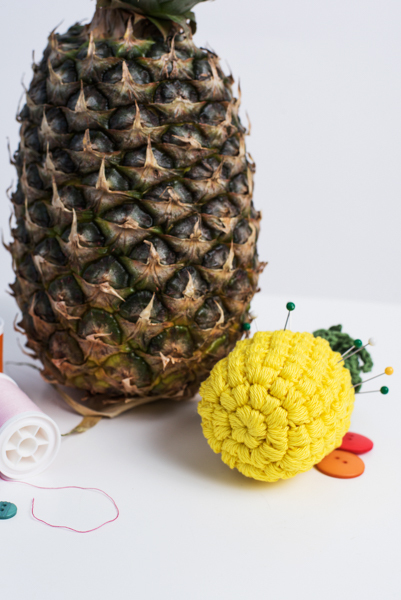 Add a bit of fun to your notions kit with this cute pineapple pincushion. The pins end up being the “spikes” of the pineapple. Bo (Bobble Stitch): *Yo, insert hook in indicated st, pull up a lp; rep from * 3 more times (9 lps on hook), yo, pull through all lps on hook. Bo2tog (Bobble Stitch two stitches together): *(Yo, insert hook in indicated st, pull up a lp) 4 times (9 lps on hook)*, working in next st; rep from * to * 3 more times, yo, pull through all lps on hook. All parts are worked in continuous rnds without joining. 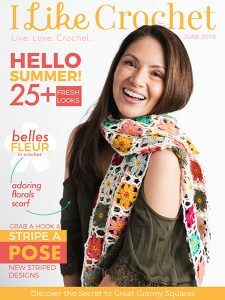 Place the stitch marker in the top of the first st to mark start of rnd. Stuff lightly; over stuffing will cause the stuffing to show between the stitches. Row 52: Ch 1, sl st in same st as beg ch, sl st in the next st, (ch 10, sl st in 2nd st from hook, sc in next st, hdc in next 2 sts, dc in next 2 sts, hdc in next st, sc in next st, sl st in next 3 sts) 5 times, (ch 7, sl st in 2nd st from hook, sc in next st, hdc in next st, dc in e next st, hdc in next st, sc in next st, sl st in next 3 sts) 6 times, (ch 5, sl st in 2nd st from hook, sc in next st, hdc in next st, sc in next st, sl st in next 3 sts) 5 times, sl st in last st. 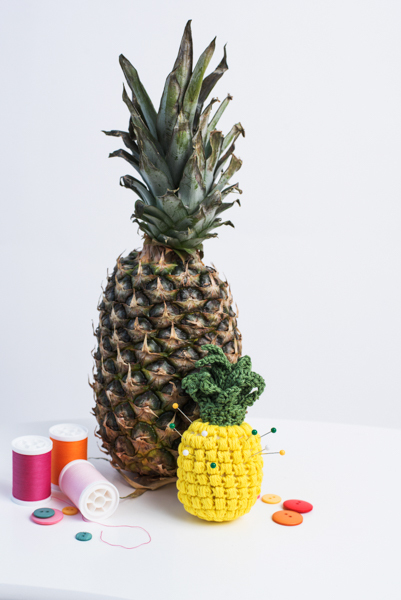 Roll up the rows of your Pineapple Top with the larger leaves in the center, and stitch together to secure. 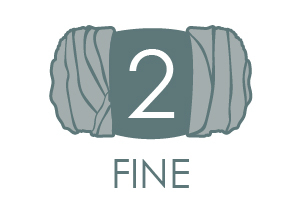 Add a few stitches in the rolled-up section of the pineapple top to prevent the rows from unraveling in the center. Attach the Pineapple Top on the top of the Pineapple Bottom.